Orlando is the perfect holiday destination for all ages, with the Florida sunshine providing the perfect backdrop for dazzling theme parks, great visitor attractions and a sensational coastline, with beaches only a short drive away. There’s no shortage of things to do in Orlando, whether you’re travelling with youngsters in tow or visiting as a couple, so forward planning is essential. You can easily spend whole days in the big hitters, but there are also some wonderful places just off the beaten track. Downtown Orlando is great, too – a world away from the tourist trail. Dip into our guide and find the essential places to go. With car hire in Orlando you’ll be able to make the most of your time in the world’s capital of fun. One of Florida’s biggest draws is undoubtedly the fact it’s home to world-famous theme parks. Whether your taste is for superheroes, film franchises or classic cartoons, you’ll find the ride of your dreams here – as well as live shows, restaurants and so much more. With younger children, Walt Disney World comes into its own. The rides are skewed towards smaller ones and they’ll jump at the chance to meet Mickey, Minnie, Donald and the gang. It’s split into several parks, with the Magic Kingdom being the main attraction. Get photos in front of Cinderella’s Castle – or even dine with princesses inside it – watch the spectacular parade and take a ride on Space Mountain. Some of the rides here are somewhat antiquated – we’re looking at you, the inexplicably popular Pirates of the Caribbean – but there’s a sweetness and gentleness that cuts through any cheesiness. 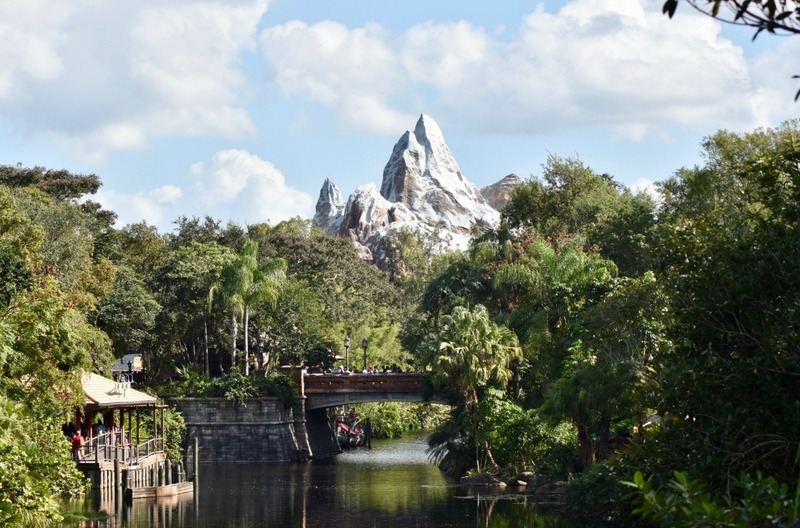 Explore the savannah and see giraffes, elephants, lions and more at Animal Kingdom, which combines safari park with theme park to great effect. There’s a great show for fans of Finding Nemo and, as the sun sets, the evening performances draw in the crowds. Part of Walt Disney World, Epcot Theme Park – once called the EPCOT Center – was opened in the 1980s to offer a glimpse of the future. Today, it’s best known for its World Showcase, which celebrates different cultures and countries with that unique Disney flair. Serving up cuisines from around the globe, it’s also a prime spot to eat. It may not have the epic rollercoasters but there are still plenty of fun things to do at Epcot. Test Track lets you design your own concept car and test it out, while Mission: SPACE offers a similar experience to the one NASA astronauts go through as part of their training. This ride spins you round in a capsule – but if you opt for the ‘Green Team’ experience you’ll be spared the spinning. More genteel is Soarin’ – a simulated ride that takes you hang-gliding above some of the world’s most breathtaking locations. Frozen fanatics should make their way to the Norway pavilion at the World Showcase for log flume adventure Frozen Ever After. The most thrilling Disney rides are to be found at Hollywood Studios, home to the hair-raising Twilight Zone Tower of Terror and the more recent Rock ‘n’ Roller Coaster. It’s also the place to be for fans of Toy Story, Star Wars and The Muppets. The rival Universal Studios is certainly Disney’s hipper, cooler cousin. Rides here tend to be more inventive or white-knuckle in style. Blink and they’ve opened another ride, while the recent addition of Volcano Bay means they’ve cornered the market in water parks, too. At the main Universal park, you’ll see the Blues Brothers driving by, walk through real filming locations and can take your pick of rides from the kid-friendly Despicable Me to the more adventurous Revenge of the Mummy and Hollywood Rip Ride Rockit. With interactive rides based on The Simpsons, ET and Men in Black, as well, there’s a lot to see and do. As such, it may be worth investing in multi-day, multi-park tickets that can help with budgeting. Universal’s Islands of Adventure is arguably even better. Marvel fans will love the Incredible Hulk Coaster and 3D Spiderman ride, while Seuss Landing is aimed at younger children. Venture into the Toon Lagoon and it’s impossible not to leave drenched from head to toe. Don’t worry, the Florida sun means you’ll dry out in minutes. Then, join the line for the Jurassic Park River Adventure and soar over the whole park on the Pteranodon Flyers. 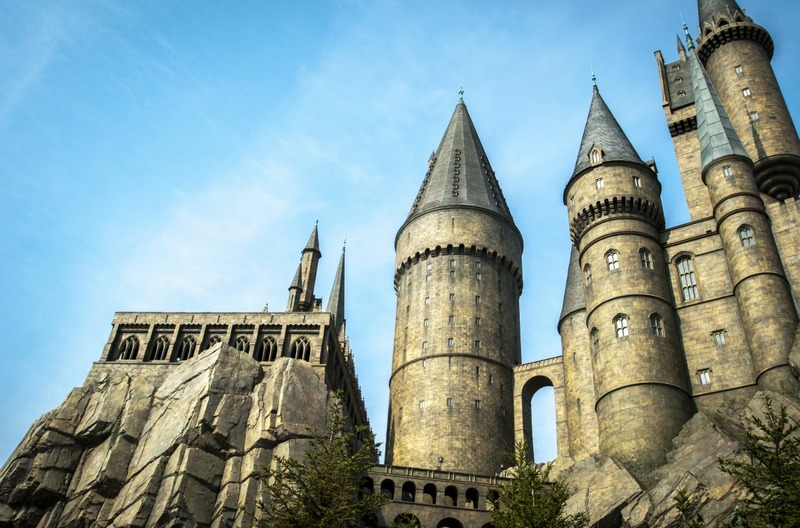 All this was enough to make Universal a vital destination already, but the addition – and expansion – of the Wizarding World of Harry Potter has sent the park into overdrive. Start in Hogsmeade village and catch the Hogwarts Express to Diagon Alley. The snow-topped buildings may seem a touch incongruous in the heat of Florida, but fans won’t care – the attention to detail is breathtaking. A word of warning – Orlando theme parks are busy all year round, but in school holidays (and US holidays) you can expect to queue for hours at a time for key rides. Don’t worry, there is a solution. Stay on site and you’ll get early and late access to most parks. Most of the accommodation also offers a variant on a ‘Fast Pass’ system, where you can reserve a spot on a specific ride and avoid the lengthy queues. You can normally purchase these passes as well. If you’ve got a group of children to keep happy, they make total sense. As any Orlando insider knows, this area isn’t just about soaring coasters and Disney characters – although it can be if you want it to be. Head away from the main crowds and you’ll discover attractions that are quieter but no less enthralling. 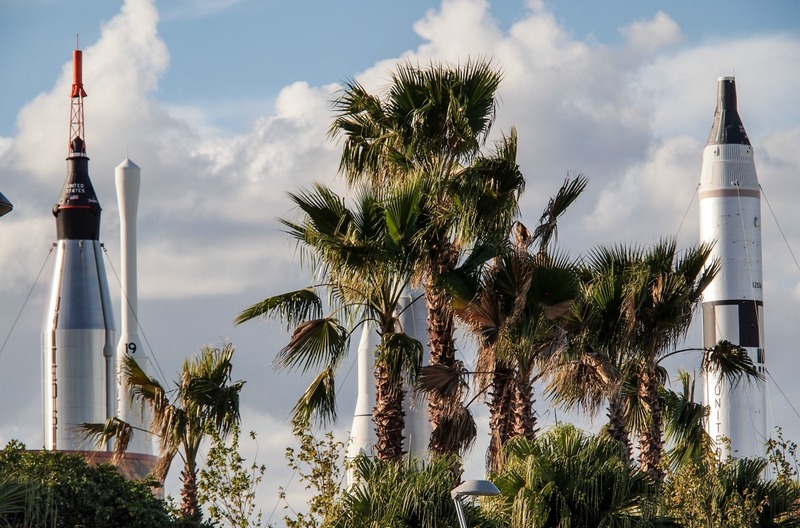 Less than an hour’s drive from Orlando Airport, Cape Canaveral is home to the Kennedy Space Center – a phenomenal space adventure. Here you can experience what a shuttle launch feels like and, if you get the timing right, you could even see a real launch take place. At the centre’s Astronaut Training Experience, you can train like an astronaut and get a taste of things like docking a shuttle, living and working on Mars, and get a feel for what a spacewalk feels like. Elsewhere, you can learn about the history of the pioneers in the Astronaut Hall of Fame and wander through the Rocket Garden where rockets from Apollo and other space programs tower over you. With an IMAX theatre, launch room and the chance to meet an astronaut, it’s not just one of Orlando’s best attractions, it’s one of the best in the whole US. In Downtown Orlando, the Amway Center is the place to be for events both sporting and cultural. You can watch world-touring shows and concerts here – Sam Smith, Elton John or Cirque du Soleil, perhaps – although it’s most famous as the home of the Orlando Magic NBA team. Plan ahead to bag yourself some prime basketball tickets, or catch a game of ice hockey or indoor American football instead. 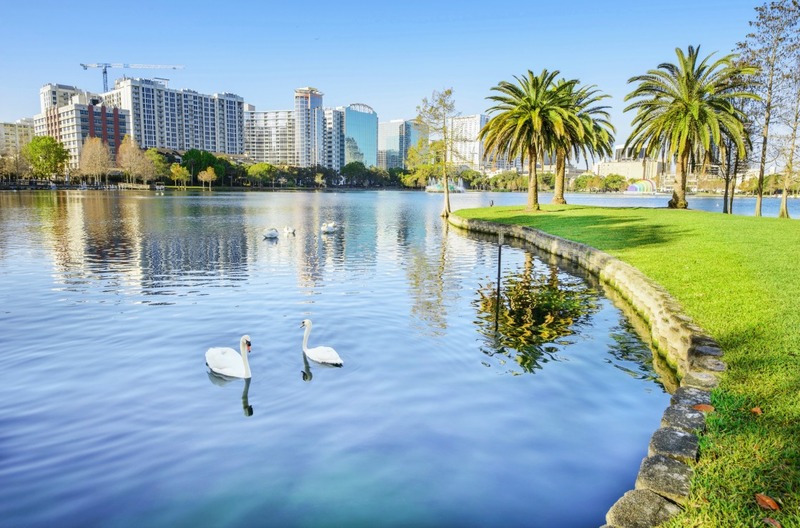 At Lake Eola Park you can take a stroll next to the water, sail a swan boat out on to the lake – there are real swans here, too, which you can feed – or shop at the Orlando Farmers Market on a Sunday. If you’re travelling with youngsters, take a seat at the Walt Disney Amphitheatre next to the lake, and catch a play or concert in this open-air venue. There’s more gentle pleasure to be had at the Harry P Leu Gardens, where 50 acres of tropical gardens are just a 10-minute drive from the centre of Orlando. The gardens and historical home were donated to Orlando in 1961 by Harry P. Leu and his wife, Mary Jane. Gorgeous native flower and plant species come into bloom around the perfectly landscaped lawns, and the 19th-century home has been transformed into a museum, bringing Harry’s legacy to life. Pack a picnic and find a secluded spot to while away the hours in this downtown oasis. Less theme park, more amusement park, Fun Spot America is a sweet alternative to the likes of Disney and Universal. There are a couple of coasters, but most of the attractions are more family-friendly, with dodgems, teacups, carousels and go-kart tracks, as well as a giant Ferris wheel. It’s a throwback to simpler times, with shorter queues as a result. 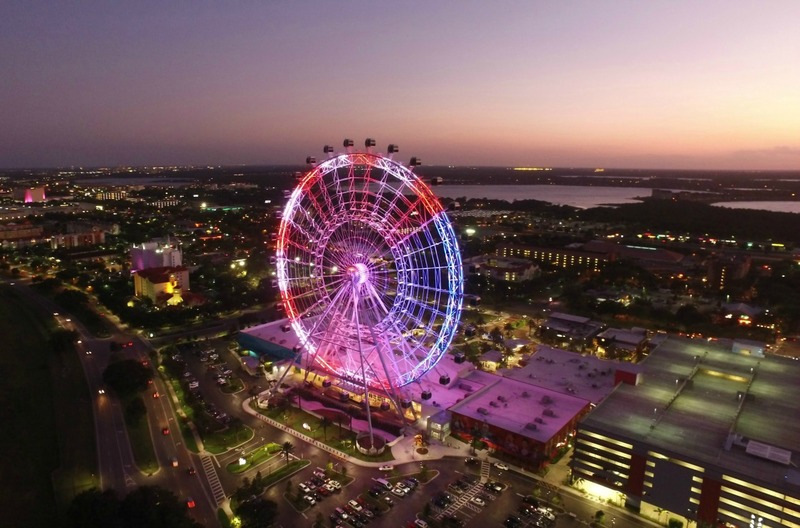 Formerly known as the Orlando Eye, ICON Orlando is the Ferris wheel that towers 400ft above the ground (it’s just 42ft shy of the London Eye) with panoramic views across the city. The attraction is open from 10am until 2am, so you can see the city at its richest during the golden hour before sunset, or twinkling in the dark, midnight sky. Just a short drive from other big attractions – Walt Disney World is only 15 minutes away – you’ll also find an aquarium, a museum full of skeletons, and Orlando’s own Madame Tussauds. Eating in Orlando doesn’t just mean themed burger joints at Disney – although there’s something to be said for the dinosaur-sized turkey legs you can tuck into at the parks. Many of the main Orlando hotels are in the International Drive area – known as I-Drive – a long, snaking road full of chain restaurants, a few attractions, and shops selling souvenirs. If you’re staying at Universal, nearby CityWalk is the obvious choice when the sun goes down. This is the home of Blue Man Group as well as a Hard Rock Cafe and the steampunk delights of The Toothsome Chocolate Emporium and Savory Feast Kitchen. Family-friendly and full of life, it’s the perfect place for an evening out, dining under the stars. Head for Downtown Orlando and you’ll find cutting-edge restaurants aplenty, especially in the Thornton Park area. This boutique-strewn part of town has pop-ups, trendy eateries and a comedy club too. Sink your teeth into a hefty burger at Graffiti Junktion or grab a spicy burrito at Tijuana Flats. If you’re looking for a night out, head Downtown. 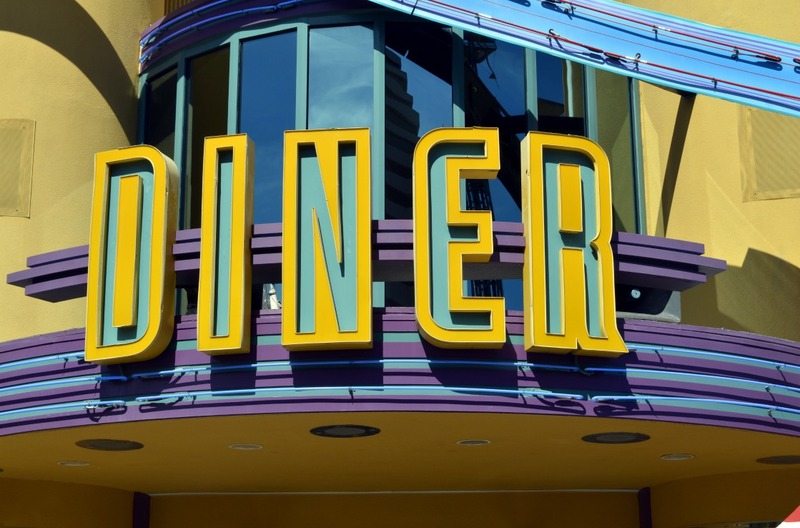 Orange Avenue is home to the glamorous Eve venue, while North Orange Avenue offers The Beacham – a 1920s cinema that draws in big-name DJs and artists. After a few days of theme parks and pounding the tourist trail of I-Drive, you’ll be ready for a relaxing dose of sun, sea and sand. Happily, you can drive an hour east or west and bag a prime sun-kissed spot on perfect white sweeps of coast, thanks to Florida’s narrow profile. Many make for Cocoa Beach on the east coast of the state. 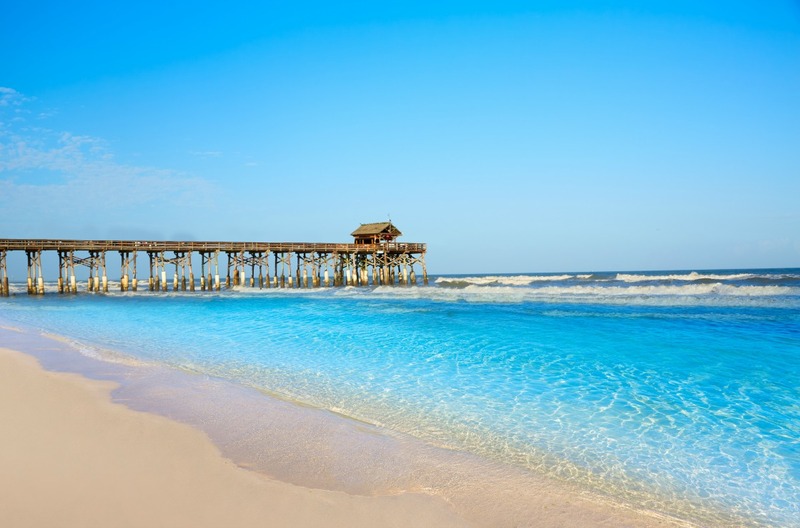 This is one of Orlando’s best beaches, with a supercool surf culture – hence the beach’s Ron Jon Surf School and world’s largest surf shop – but also a side that’s more serene thanks to the nearby Lori Wilson Park. If you feel the need for speed, make for Daytona Beach to the north-east of Orlando. With a NASCAR speedway and the Motorsports Hall of Fame of America, it’s perfect for those who love all things on four wheels. There’s more to it than that, however, with year-round festivals, Native American culture and miles of beach to enjoy. With hundreds of attractions, world-famous theme parks, and sun-kissed beaches, this is a destination that never disappoints. Make the most of it all with Hertz car hire in Orlando.